I used to own a small business called Stoneking Graphic Design. I know first-hand how hard it was to build it in my small town in New Hampshire: Long hours. Little security. 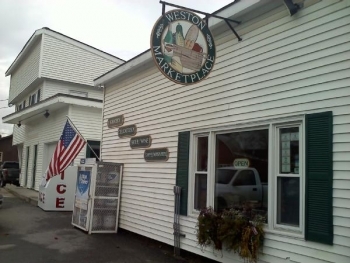 So I was particularly moved to hear about the Weston Market place in Vermont that was flooded last year during Hurricane Irene. As a new hurricane season is upon us, I worry about the Weston Markets in other towns. Disasters not only devastate individuals and neighborhoods, but entire communities, including businesses of all sizes. For small business owners, having a business continuity plan can help protect their company, keep their employees safe, and maximize their chances of recovery after an emergency or disaster. Ready Business, an extension of the Ready national disaster preparedness campaign, helps owners and managers of small- and medium-sized businesses prepare their employees, operations and assets in the event of an emergency. Ready Business asks companies to take three simple steps: plan to stay in business, encourage your people to become Ready, and protect your investment. The Business section of Ready.gov contains vital information for businesses on how to get started preparing their business and their unique needs during an emergency.